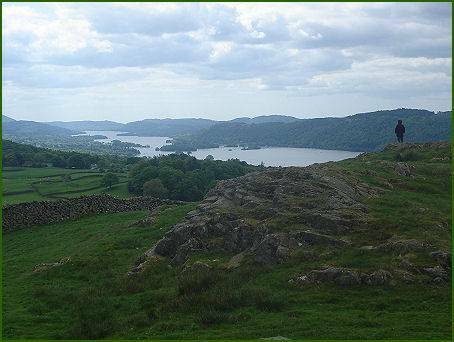 Allen Knot is a small steep outcrop above Lake Windermere, situated above Troutbeck Bridge and to the east of Holehird Gardens, it offers superb views of the lake and its surrounding fells. 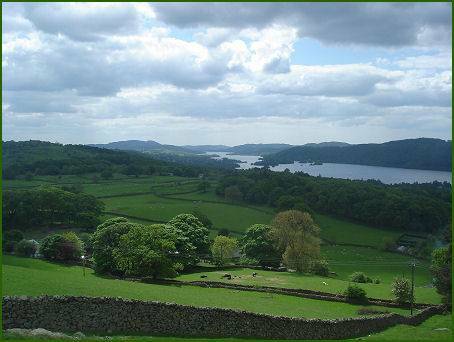 Almost the full length of Windermere can be seen from its summit, views encompass the peaks of Gummers How and Orrest Head, the Langdale Pikes, Crinkle Crags, the Old Man of Coniston and the hills surrounding the Kirkstone Pass. 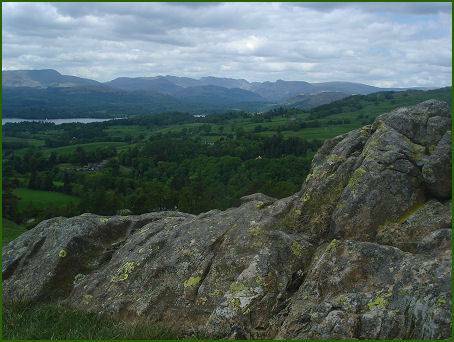 A Dark Age British hillfort once occupied the summit of Allen Knott, the remains of which today are barely discernable. Part of the fort, which probably served chiefly as a lookout post, was cut away by the quarrying on it northern side, for shillah for the road. The area was excavated in the 1960's. 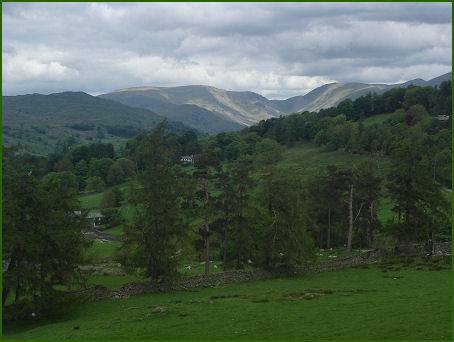 *Getting There- Driving from Troutbeck Bridge take the first right turn for Troutbeck and proceed along the road until reaching a further right turn into Moorhowe Road. Continue, climbing uphill, until arriving at a public footpath marker by the road. There is limited on road parking. 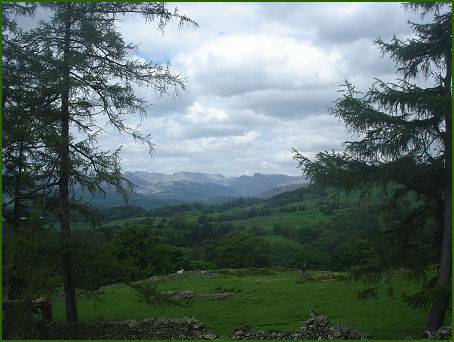 *Follow the clear footpath from the road to ascend to the summit of the knott. *Re trace your steps to return to your car.